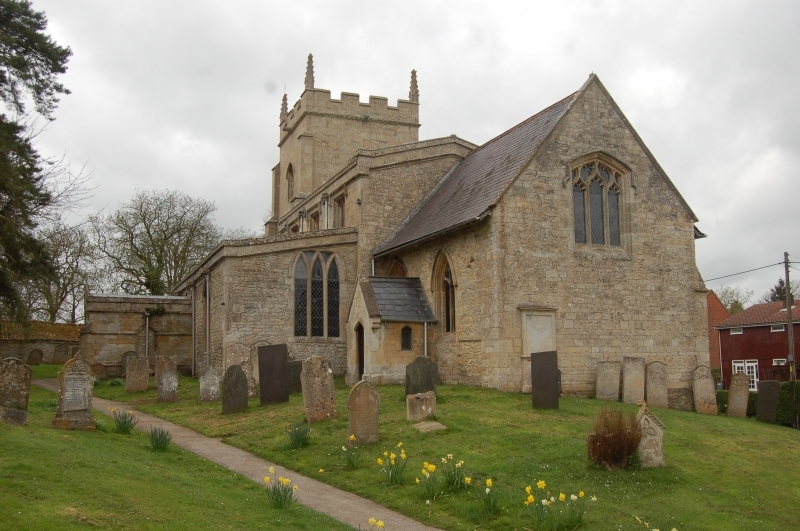 Parish Church; C12, C14, C15, C16, Cl7, c.1700 with C19 alterations. Ashlar, dressed and coursed limestone rubble; slate and lead roofs. stepped clasping buttresses. C17 3 light cross mullioned west window. blank, with cornice and parapet with saddleback coping, concealing lead roof. conceals a lead roof, which is drained by a defaced gargoyle with a ruff. three 2-light C16 windows with hood moulds under continuous cornice. circular arches on semi-circular piers with circular bases on square blocks. aisle east window are C14 glass fragments reset and dated "JH 1801 CW"